As the industry leader, analytica China is the best platform in developing a comprehensive showcase for new technologies, products and solutions, the same period in symposium, forum has been innovative, high quality speech topic, professional organizationsto attract concerned about the growing number of exhibitors and visitors, to become another highlight of the show. 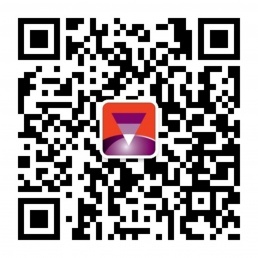 In 2018, analytica China will be held over several high-quality symposiums, deeply study on analytical chemistry, foodsafety and nutrition, precision medicine, chromatography, sample preparation, laboratory safety and management at the sameperiod, and will offer more than 100 wonderful reports. "The 9th Shanghai International Symposium on Analytical Chemistry" organized by Chinese Chemical Society and Messe München will be held accompanying with analytica China 2018 in Shanghai. Prof. Jin-Ming Lin from Tsinghua University and Prof. Oliver J. Schmitz from University of Duisburg-Essen will act as Chairmen of the conference. In order to move the innovation and development of the food industry, promote and enhance food safety assurance and related testing technologies and ensure the food quality and safety, 2018 China International Food Industry Development Forum &2018 Shanghai Sino-EU International Forum on Food Safety Co-sponsored by Shanghai Society of Food Science, Shanghai Food Safety Federation and Messe München will be held in Shanghai New International Expo Center during the 2018 analytica China and Shanghai International Food Safety Equipment & Technology Exhibition from October 31 to November 2, 2018. Organizer: BioonGroup Messe Muenchen Shanghai Co., Ltd. This symposium focuses on the research achivements and hotspots of genomics, transcriptome, proteomics and immunohistochemistry techniques, and explores and discuss the impact of new machine learning and big data analysis methods on precision medicine, aiming to promote the machine learning in the high latitude data mining and analyzing, To accelerate the guidance of scientific research to personalized clinical medicine. The Symposium invites experts and scholars in the fields of liver cancer, lung cancer, brain science and genetic diseases to present a high quality academic feast, to discuss and share research hotspots in methylation studies, single cell sequencing and proteomics. Shanghai BioPharmaceutics Industry Association,Shanghai Association for Science & Technology Shanghai Biotechnology Corporation and Messe MÜnchen international (Shanghai) Co., Ltd.as the joint organizer of the 2018 precision meeting, hope to build a platform for the experts, scholars and enterprises to learn from each other. 2018 Shanghai biotechnology 10th anniversary, adhering to the "providing professional services, achieveing scientific discoveries," provide professional services to scientist who interested in the transformation of scientific data into clinical applications. Organizer: Shanghai Bio Pharmaceutics Industry Association Shanghai Association for Science &Technology Shanghai Biotechnology Corporation Messe Muenchen Shanghai Co., Ltd.
As a leading trade fair focus on laboratory in China, analytica China concerns your occupational safety and health, and also pay attention to lab sustainable development and lab intelligentization. Visit our China Int'l Congress on Laboratory Planning, Construction and Management in Hall E4. The experimental lectures from well-known expert, exhibitor presentations shed light on hot topics, including Design and Planning of Modern Scientific Research Building; Smart Laboratory Construction and Development; Laboratory Safety and Management, etc. Organizer: Messe München Merck Chemicals (Shanghai) Co., Ltd. Organizer: Messe München Esensing analytical Technology Co., Ltd. Organizer: Messe München Jiangsu Jimbio Technology Co.,Ltd. Organizer: Testing and Certification Centre of Capital Science & Technology Messe Muenchen Shanghai Co., Ltd.
With the implementation of the environmental protection law on January 1, 2015, Air, water and soil pollution will be the national long-term focus of environmental protection, prevention and control. The related policies such as Action plan for air pollution control, Action plan for water pollution control, Action plan for soil pollution control will continue to be promoted and implemented. Then the blue sky defense、Urban black odor water governance and other special activities followed. All these measures will improve the various standards and the technologies of environmental monitoring and analysis. To this end, LaborPraxis China platform hand in hand Munich Expo Group planned to hold the "2018 environmental monitoring and Analysis Technology Conference ", inviting experts and users, to explore and exchange the relevant standards and professional technology of environmental monitoring and analysis, and to help to promote the development of environmental protection in China.